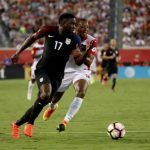 Home / Volley / Global Football / Discussion: Was the TTFA right to overrule technical committee and select Lawrence? Discussion: Was the TTFA right to overrule technical committee and select Lawrence? 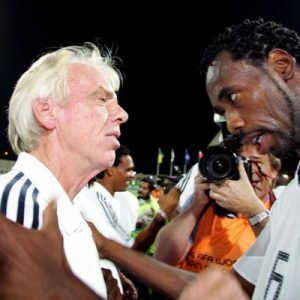 The technical committee of the Trinidad and Tobago Football Association (TTFA) declared, via an internal vote, that W Connection technical director Stuart Charles-Fevrier was the best candidate to lead the Soca Warriors for the remainder of the Russia 2018 World Cup qualifying campaign and beyond. 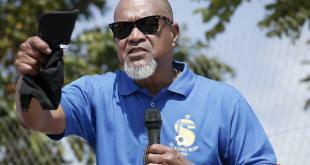 Former Central FC and San Juan Jabloteh coach Terry Fenwick was considered the second best candidate. 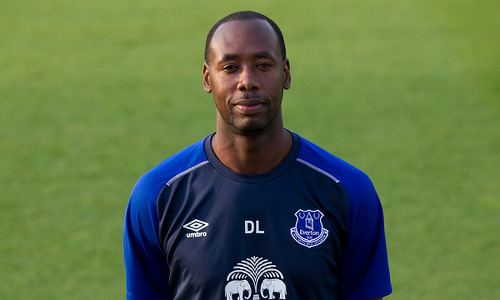 Photo: Former Everton assistant manager and new Trinidad and Tobago National Senior Team head coach Dennis Lawrence. 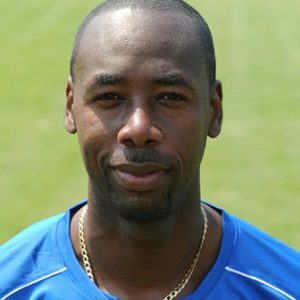 However, the TTFA’s board of directors opted instead for former Everton assistant manager and World Cup 2006 defender Dennis Lawrence, who was, arguably, the technical committee’s third choice. 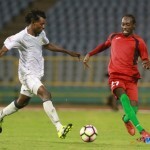 The board was allegedly concerned about Fevrier’s closeness to TTFA president and W Connection co-owner David John-Williams as well as whether the outspoken Fenwick, a former England World Cup defender, would be a suitable employee for the local football body. The current TTFA board of directors comprises: David John-Williams (president), Joanne Salazar, Ewing Davis and Allan Warner (vice-presidents), Samuel Saunders (Central FA), Sherwyn Dyer (Eastern Counties Football Union), Karanjabari Williams (Northern FA), Richard Quan Chan (Southern FA), Anthony Moore (Tobago FA), Joseph Taylor (Trinidad and Tobago Football Referees Association), Sharon O’Brien (Women’s League Football), Wayne Cunningham (Eastern FA) and Dexter Skeene (TT Pro League). The TTFA technical committee consists of: Dexter Skeene (chairman), Dr Alvin Henderson (vice-chairman), Bertille St Clair (former World Youth Cup coach), Errol Lovell (former national goalkeeper), Jinelle James (ex-national player and current administrator) and Muhammad Isa (technical director). 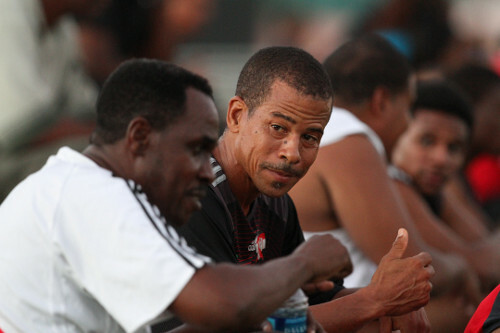 Photo: Former Trinidad and Tobago national coach Ron La Forest (left) makes a point to Pro League CEO Dexter Skeene. 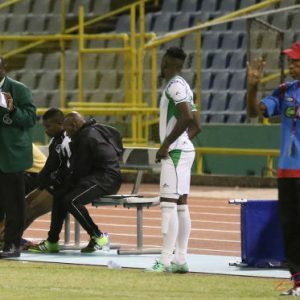 So should the TTFA board be commended for its initiative and bravado in voting against John-Williams’ vice-presidents and the technical committee in selecting Lawrence? Or did the directors overstep their mark by ignoring the advice of a committee specifically set up to rule on such matters? Should the technical committee be satisfied that their advice was considered, even though it was ultimately disregarded? Or should the members of that committee feel slighted and ponder their own futures due to the board’s final decision? Does Lawrence’s top flight experience as an assistant coach make him the safest pair of hands? Or does the fact that he has been selected over experienced head coaches suggest that overseas achievements always trumps local achievements—regardless of scale? Just to add insight to Sean Powders comments. When Graham Rix was coach at Chelsea and Gullit was manager, he basically picked the team. He coached the players everyday and advised Gullit on fitness, performance attitude etc. Usually in EPl etc the manager is exactly that. He manages all aspects of the club and doesn’t necessarily spend as much time with players as the coaches. This is where Tallest would have developed his coaching skills. However, a great co pilot doesn’t necessarily make a great pilot. A manager has ultimate responsibility and usually makes the final decisions. This could be where Tallest may lack experience. 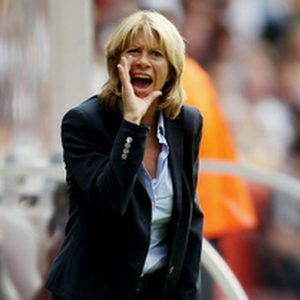 Finally, as we found with Rix, who was a fantastic, knowledgeable coach, Trini players are different to EPL players. Rix tried to do things at Central that worked with Zola, Lampard, Terry, di Matteo, Makele etc. Just didn’t work with Trini players, yet Fenwick got results with that same group. This is why the technical committee is supposed to give their recommendations based on wide criteria not just badges. The board, who are not required to have the same depth of football knowledge, are supposed to rely heavily on the TC. That’s the whole point. Interesting point which does kinda match with what some of us have said. Lawrence wasn’t Martinez’s number two though. And I still say it would help to know exactly what his duties were.